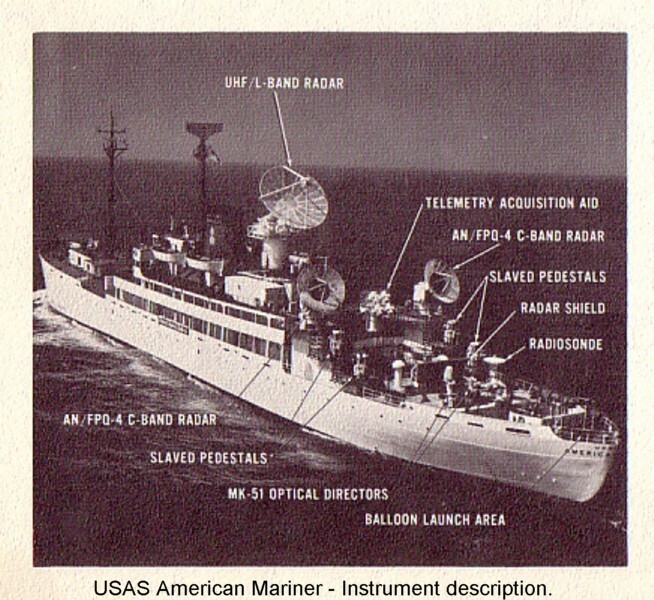 ↑US Army Range Instrumentation Ship US Army Ship American Mariner showing indicators to tracking equipment aboard the ship. Photo from Newsletter, 1 January 1964. United States Military. Image courtesy of NavSource. 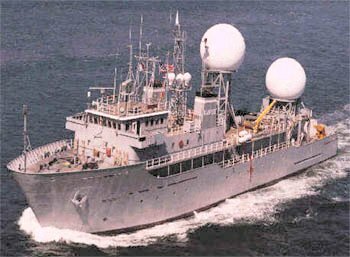 ↑US Army Missile Range Instrumentation Ship Worthy underway, date and place unknown. US Navy photo. Image courtesy of NavSource.